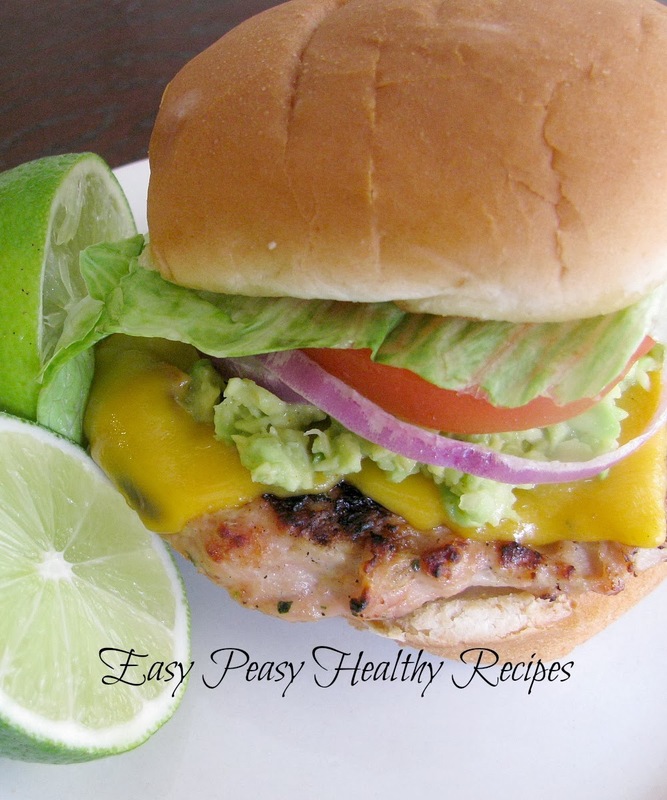 Mix together the ground chicken, guacamole seasoning mix, chopped cilantro, onion and lime juice. Cook these on preheated grill approximately 5 minutes on each side. Be careful not to overcook! I also topped each burger with slices of red onion , tomato and lettuce. What a super yummy, healthy burger! Delicious! In a bowl, mix together the ground chicken, guacamole seasoning, half the cilantro, lime juice, and minced onion until thoroughly combined. Form the chicken mixture into 4 patties. Reserve the other half of the cilantro for garnish. Grill the chicken burgers on the preheated grill until the meat is no longer pink inside, the juices run clear, and the burgers show browned grill marks, 5 to 8 minutes per side. About 1 minute before the burgers are done, top each burger with a slice of Cheddar cheese, and let melt. Serve chicken burgers on the toasted whole wheat bread, topped with about 1 tablespoon of salsa and about 1 tablespoon of the reserved chopped cilantro.